Too many lives are touched by cancer; whether we have personally experienced the cruel consequences of the disease or simply know someone who has struggled through the treatments, it is something that impacts on everyone’s life. This year we decided to mark World Cancer Day on Thursday 4th February. 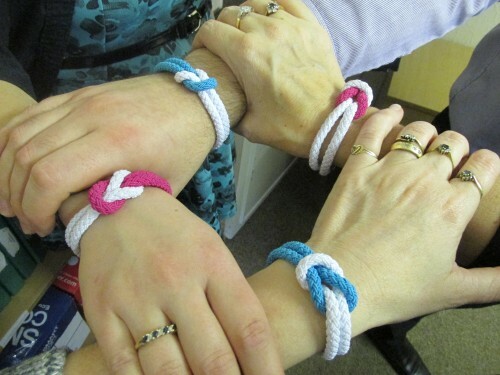 The local Cancer Research shop were incredibly supportive and supplied us with 50 Unity bands to sell. The leading cancer charities have all been selling Unity bands in their nominated colours at a suggested donation of £2 each. Every member of staff supported this worthy cause. In order to boost our fund raising further we also organised an office bake sale. The contributions were impressive! A surprising number of people brought in edible contributions including both homemade and store bought sweet treats, savoury snacks and fruit for those with less of an indulgent side (and more restraint!) than others. Needless to say, the mountain of options proved popular and people donated generously. The day brought some laughs, some yummy home baking and raised cash for a very worthy cause in the process. World Cancer Day is a time to stop for a moment and give thanks to our UK cancer charities for their continuing hard work in their campaigns to raise awareness, promoting lifesaving research and providing aftercare and support to suffering individuals and their families. We at Parry Law hope that the £235 that we raised will play even just a small part in securing a safer, healthier future for individuals and their families whose lives are impacted by cancer, and would encourage everyone to continue raising awareness and taking part in charitable fundraising events, now and in the future. Parry Law Solicitors are authorised and regulated by the Solicitors Regulation Authority (ref.486915 and 487159).